Despite the board and state governments spending crores of rupees to control the dog population, it now stands at well over 50 million dogs. India has a serious free-ranging dog problem, and if animal welfare organisations are to be believed, it is only a matter of time before the street dog population is brought under control. But in truth, several of these organisations are haphazardly managed, their strategy to control the population of dogs and control the spread of rabies is devoid of science or logic, and some even misappropriate public funds. This has led to the current lose-lose situation for both people and animals. India has had a national policy for the control of street dog populations and rabies for over 20 years. This policy is the brainchild of the Animal Welfare Board of India, a statutory body under the Prevention of Cruelty to Animals Act, 1960. In 2001, this policy was notified as Rules under the Prevention of Cruelty to Animals Act – oddly enough by the Ministry of Culture, a ministry that has nothing to do with animals, disease control, public health, or animal welfare. The centrepiece of the Rules is Animal Birth Control, or the ABC programme. How effective is the state in implementing it? In cases being heard in the Supreme Court, the Animal Welfare Board of India has stated that “the implementation of the Rules in most states has been observed to be inadequate, haphazard, and poorly planned”. It blamed the lack of funds as well as the lack of coordination between the Centre and the state governments, and between local authorities, implementation agencies, and other stake-holders for this. However, the Animal Welfare Board of India and animal welfare organisations are a big part of the problem. Under the Animal Birth Control Rules, municipal authorities that desire to control the dog population in an area may employ the help of Animal Welfare Organisations to carry out a sterilisation and vaccination programme that is funded and supervised by the Animal Welfare Board of India. In 1999 and 2008, the Ministry of Environment and Forests conducted internal reviews of the Animal Birth Control programme. These reviews are not public documents and were accessed using Right to Information queries. While the Animal Welfare Board of India funds several organisations, the 2008 review audits only 70 organisations. The 1999 report titled Performance evaluation of Animal Birth Control Project of Animal Welfare Board of India, found evidence of mismanagement of funds. The amount of money the Animal Welfare Board of India disbursed did not tally with the accounts submitted by the recipients of the funds. The 2008 review titled The Consultancy Project on Support to Animal Welfare Schemes of AWBI, MoEF – An Evaluation, Final Report 2008, shows that the situation did not change much in the intervening decade. Organisations that had neither shelter facilities nor ran an Animal Birth Control programme received money to buy ambulances. 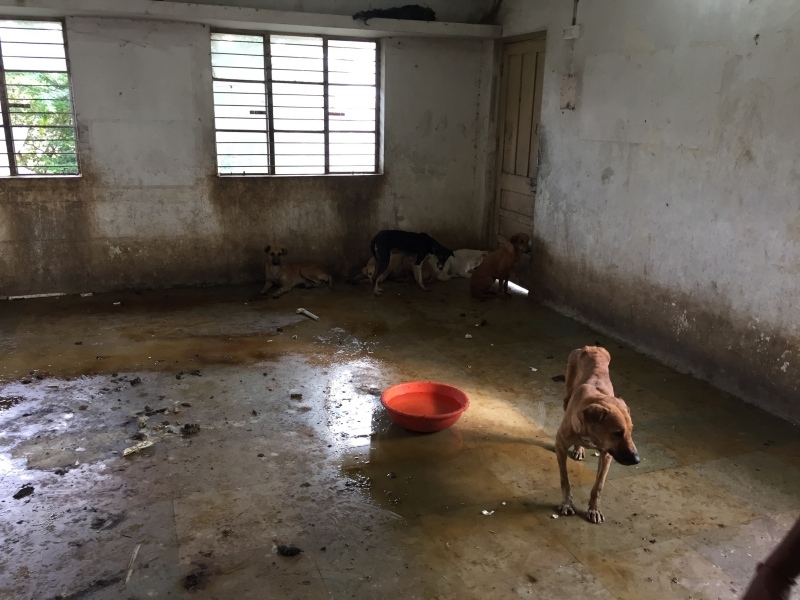 The reviewers could not locate at least two organisations in Tamil Nadu and Andhra Pradesh that received a sum of Rs 10 lakhs each from the Animal Welfare Board of India. Exact figures spent on the Animal Birth Control programme do not exist. Even the number of ministries funding the programme is unclear as the Ministry of Social Justice and Empowerment, Ministry of Environment and Forests, the Ministry of Culture as well as the Ministry of Statistics and Implementation have all funded it at different points of time. However, if these 70 organisations alone perform five operations a day at the rate of Rs 340 per operation (the rate quoted in a Ministry of Social Justice and Empowerment note), a very conservative expenditure of the government per year is Rs 4.34 crores. This does not include funds given for land for building hospitals and shelters, and for purchasing ambulances. Without a robust and scientifically valid baseline estimate of the dog population, there is absolutely no way to judge if the Animal Birth Control programme has any success at all. Stray dogs are the largest reservoir of rabies, a dreaded incurable disease that kills an estimated 20,000 Indians per year. The vaccination of dogs against rabies is considered to be one of the most effective means to combat this dreaded disease. However, the reviews revealed a shocking lack of proper record-keeping raising doubts about the implementation of an anti-rabies programme. Is it any wonder then that India tops the world in rabies cases? This also shows a callous disregard for both human and animal life with regard to a 100% fatal yet totally preventable disease. The reviews also found that many Animal Welfare Organisations did not practise standard operating protocols for keeping and operating upon animals. Most Animal Welfare Organisations had “no trained person on animal welfare available”. The 2008 review found that many Animal Welfare Organisations running the Animal Birth Control programme did not have the facilities required and the “physical condition of the kennels/shelters … [varied] from good to the worst. Most of the AWO’s [Animal Welfare Organisations] were keeping the dogs in group kennels both before and after surgery”. An operation room where stray dogs are sterilised. 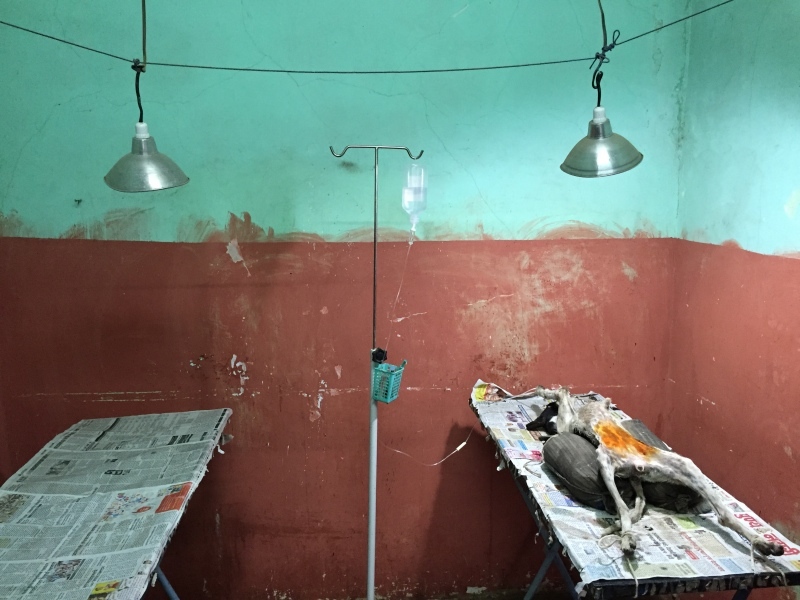 In some cases, the Animal Welfare Organisations conducted sterilisation surgeries on wooden tables without proper lighting and neither did they maintain sterile conditions. Such accusations against the very organisations meant to champion the welfare of animals continues even in 2016 as seen in this NDTV report. A post-operative recovery room for sterilised dogs. The end result is that despite the expenditure of crores of rupees by the Animal Welfare Board of India as well as state governments, the dog population in India has continued to grow to well over 50 million dogs. The revised guidelines issued by the Animal Welfare Board of India in 2016 for the management of the street dog population and eradication of rabies under the Animal Birth Control Rules do not address many of these issues. Instead they set the almost impossible task of sterilising the entire dog population of the country in two years. This displays an utter lack of understanding of the logistics behind such an operation, and more importantly, the ecology and population dynamics of free-roaming dogs. “On a case to case basis, the committee constituted for the purpose…, using its expertise will then assess the information available and observe the dog over a period of 7 days, and decide if the dog is indeed a habitual biter. If it comes to the conclusion that the dog is not a habitual biter, it will release it back”. How many children need to be bitten or killed before we admit that dogs can be a real danger to humans? However, there is no scientific basis for this, and in some cases, spaying may even increase aggression. But despite the scathing internal reviews, the Animal Welfare Board of India continues to function in the same unaccountable fashion as before. It is high time that a thorough overhaul of the rules and regulations governing the control of dogs as well as animal welfare in general is carried out. The Animal Welfare Board of India needs to be disbanded, and instead respective states should be given the independence to manage the best interests of both tax-paying citizens as well as the animals that are resident in them. Meghna Uniyal is an independent legal researcher and Abi Tamim Vanak is Fellow, Wellcome Trust/DBT India Alliance Program and Fellow, Ashoka Trust for Research in Ecology and the Environment.